If you are interested in learning more about the VA Interest Rate Reduction Refinancing Loan (IRRRL) also know as the VA Streamline Refinance Program you are at the right place. The “VA Streamline Refinance Program” is a Government initiative to help homeowners that are underwater and have made their mortgage payments in a timely fashion. VA loans are a special loan program designed specifically for veterans, issued by approved lenders and guaranteed by the federal government. 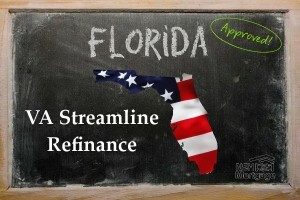 The VA Streamline Refinance is the most common loan type within the VA loan umbrella, and is officially known as an Interest Rate Reduction Refinance Loan (IRRRL) by the government. The VA loan’s definitive characteristic is that veterans with qualifying credit and income can purchase a home with no money down, which makes buying a home extremely attractive for those who have served in the military. In addition, VA loans also offer feature flexible requirements, no private mortgage insurance (PMI), and very competitive interest rates. In order to qualify for a VA Loan, a veteran must have served 181 days during peacetime, 90 days during war time, or 6 years in the Reserves or National Guard. You may also qualify as the spouse of a service member who was killed in the line of duty. Generally speaking, almost all active duty and/or honorably discharged service members are eligible for a VA purchase or streamline refinance loan. We now offer a No Closing Costs VA IRRRL. 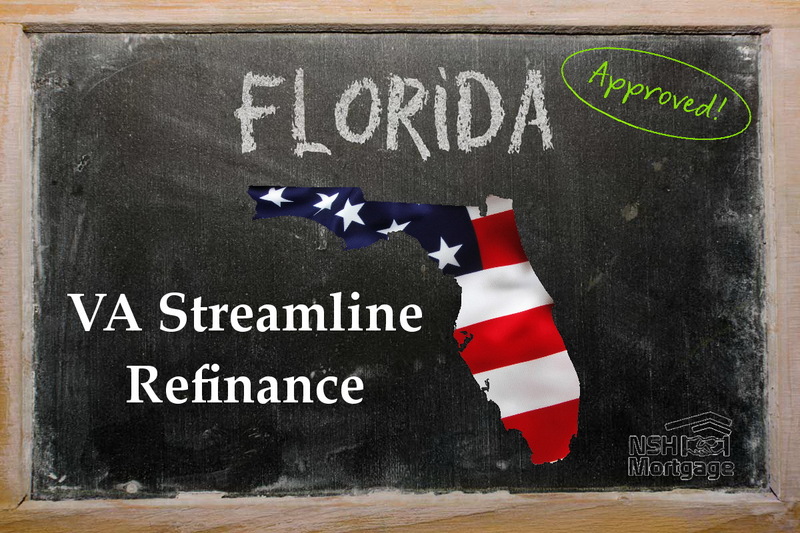 If you would like to learn more about the VA Streamline Refinance Program in Florida and see how much money you can save, call us today to talk to one of our experienced Florida mortgage professionals. Little increase in your loan balance. Preserve your equity. Finally, a program that rewards hard working, responsible homeowners by allowing them to refinance to historically low interest rates even if they are upside down on their mortgage do to no fault of their own. Take advantage of today’s historically lower interest rates. This opportunity is, of course, a limited time offer – rates will increase again. So please DO NOT DELAY. If you act fast you can join the thousands of informed VA homeowners who have recently taken advantage of this federally granted benefit with no cost to you, the homeowner. Call us today and our staff will answer any of your questions.